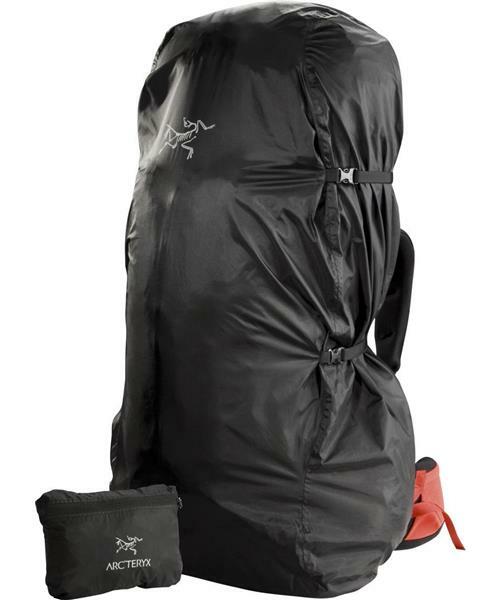 Lightweight and packable rain protection for backpacks. Featuring contoured shaping with an elastic drawcord closure for a secure fit, compression straps to reduce wind drag, easy access to top of pack while cover is engaged, and stow pocket. Fits the Altra 50 & 65 Men's, Altra 62 & 72 Women's, Alpha FL 45, Miura 45, Khamski 48, Nozone 55 and most other packs up to 75L. Pack Shelter - M is rated 4.8 out of 5 by 8.